This one has again been sent by Rory Kehoe and looks familiar to me, but I just can't put my finger on it. Rory says it was sent to him with ?Russell's Shrimp Brand Ales? No idea what's happening, or where. 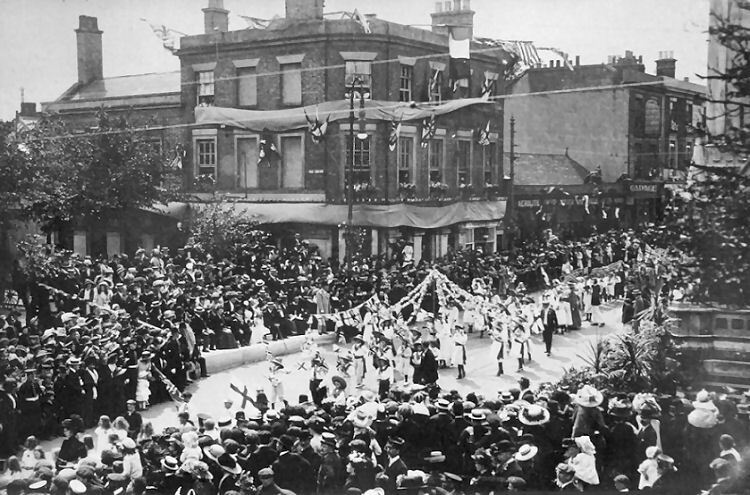 Best guess is that it's c.1910 so it could be George V's coronation (June 1911) and as Russell's was a Gravesend brewery, that's probably a good starting point. Hope someone can recognise this imposing corner pub. From an email received 8 November 2018. 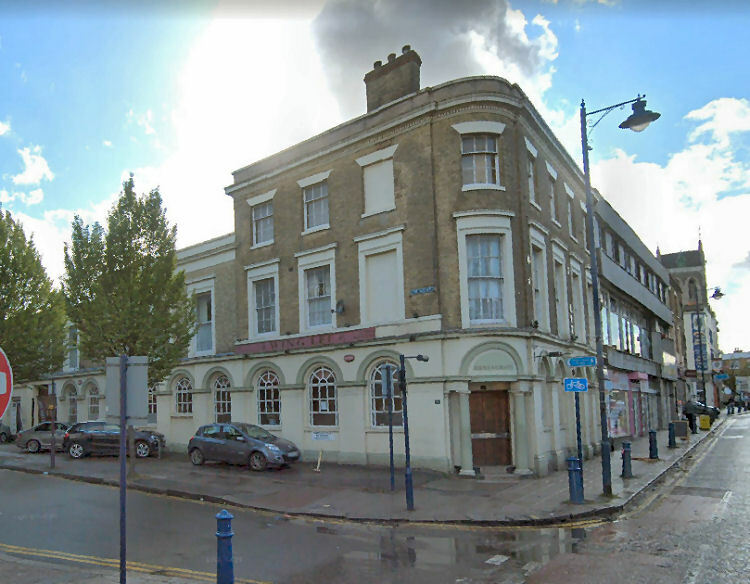 I have just been looking at Pub 75 possibly in Gravesend and I think it is a building on the corner of Milton Road and The Grove. The building is opposite the clock tower in Gravesend. Its current use is as a Chinese restaurant but speaking to someone I know it was previously a Natwest bank and possibly before that a Cooperative bank. Hope this is of some help. I looked on the Library of Scotland maps and there is no indication of it being a pub. But there is of it being a T.C.B which may have been The Cooperative Bank. A friend of mine can definitely confirm that it was a bank in the 70/80s. Above Google image. May 2018. But was it ever a pub, and if so which one?